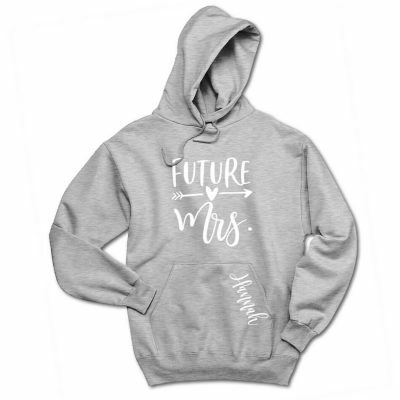 If you are looking for something great to get ready in on the morning of the wedding, our bride hoodies and bridesmaid hoodies with a full-zip front are perfect! 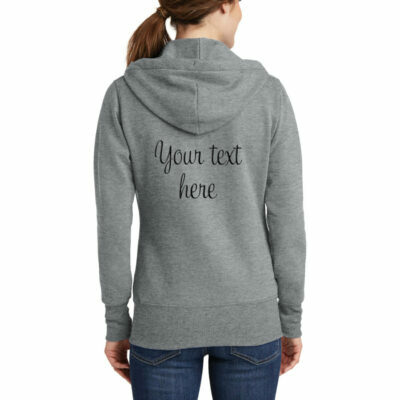 Are you taking a trip with your bridal party and looking for something comfy and cozy to wear? 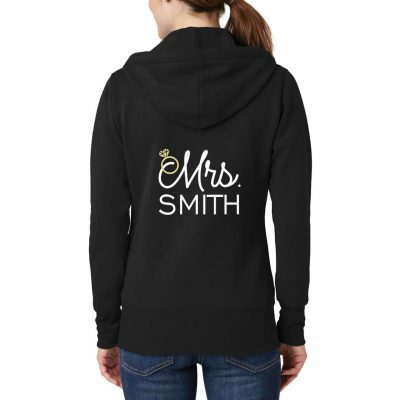 Then our bride sweatshirts and bridesmaid sweatshirts are just what you need! 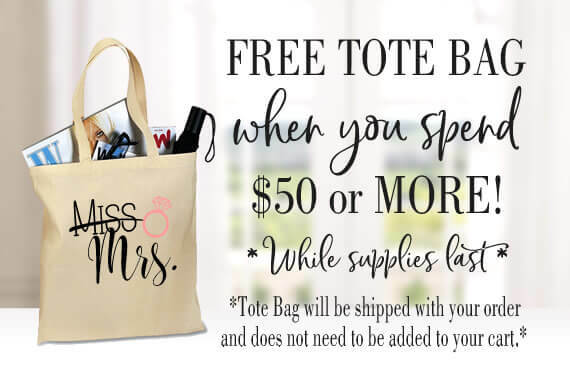 Our do you want something fun to wear on your honeymoon? 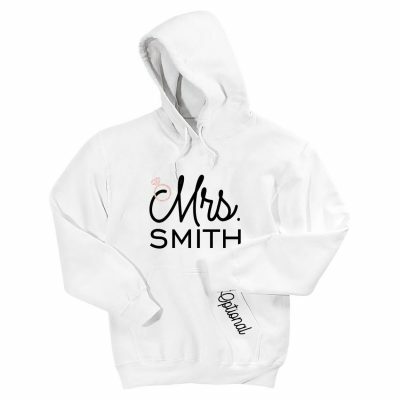 If so, one of our "Wifey" sweatshirts or "Mrs" sweatshirts is a must! 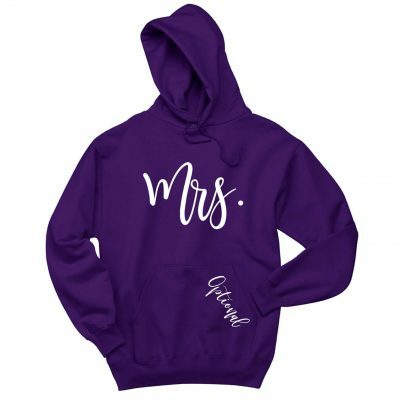 Our bride and groom hoodie sets are a great honeymoon gift! 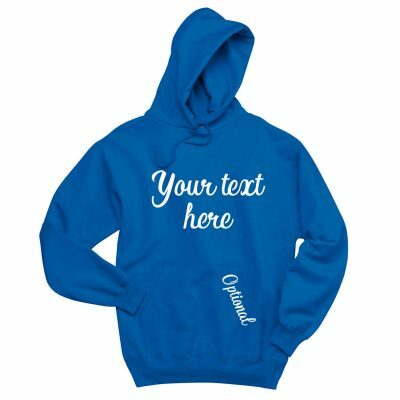 We offer embroidered, rhinestone, glitter, metallic and solid designs available in many different fonts and colors. 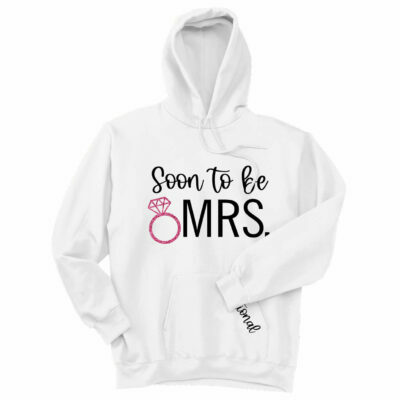 We have a huge selection of personalized bridal party hoodies and sweatshirts, so you are sure to find exactly what you looking for! 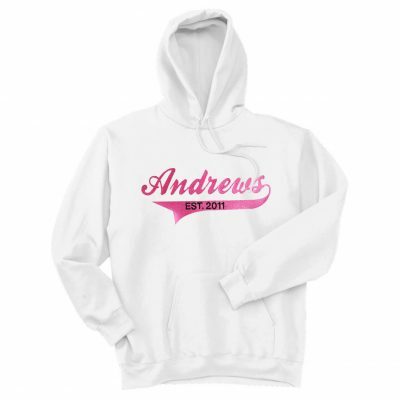 If you don't see the perfect design, you can always create your own hoodie!